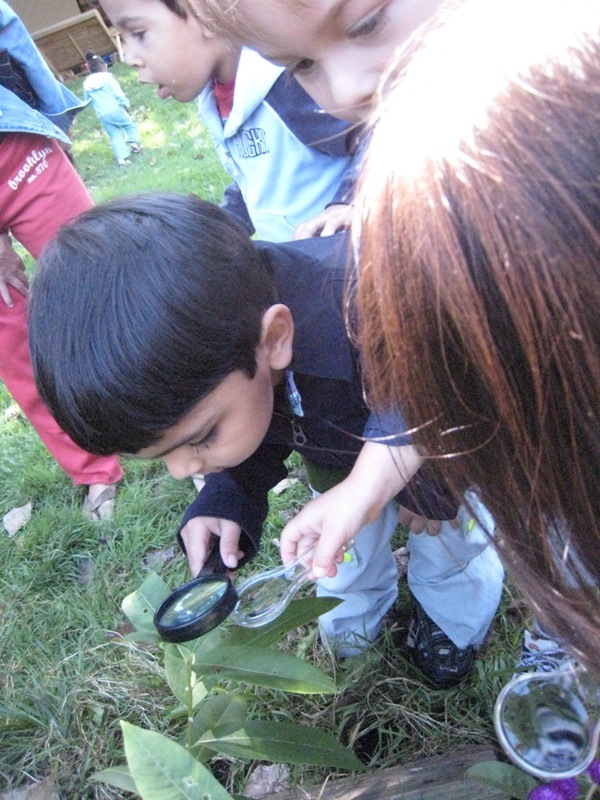 The children investigate the life of the Milkweed community. 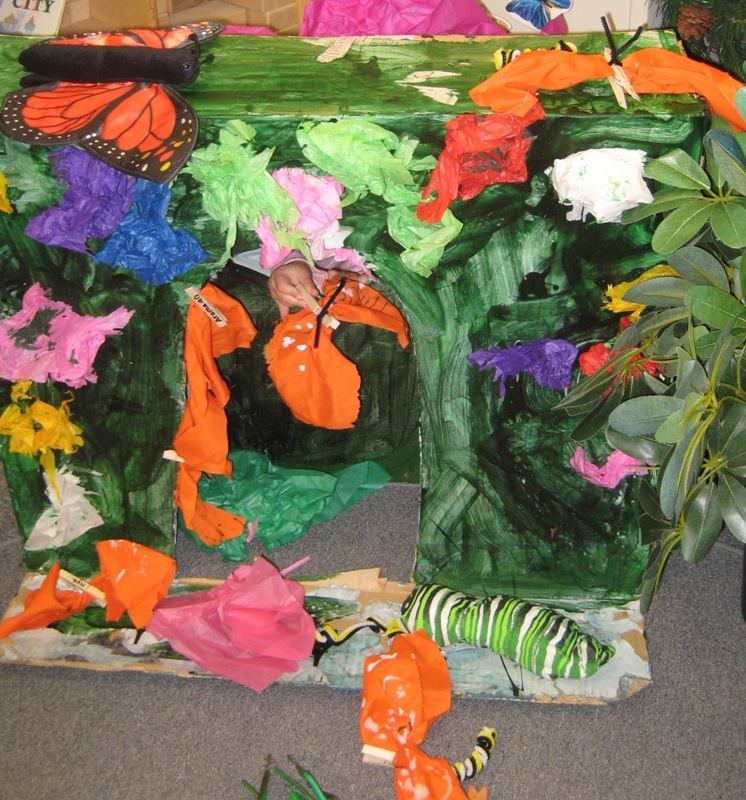 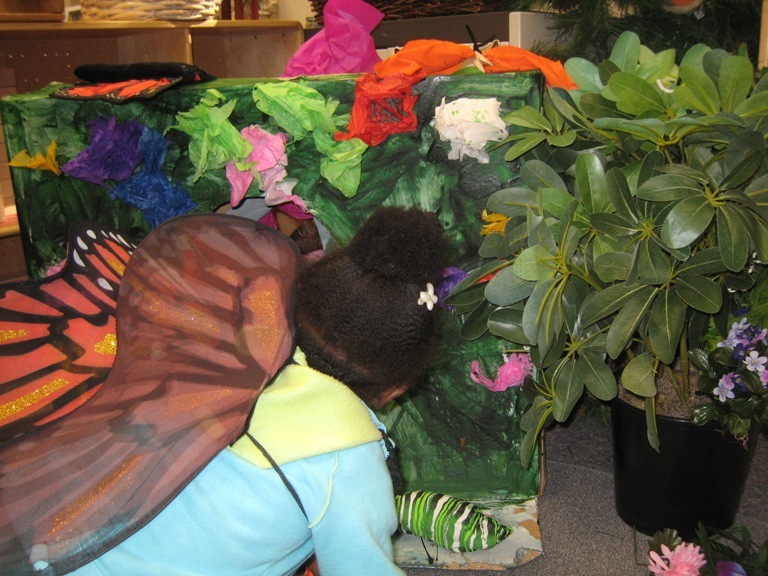 The children decide to recreate a Milkweed community in our Dramatic Play area. 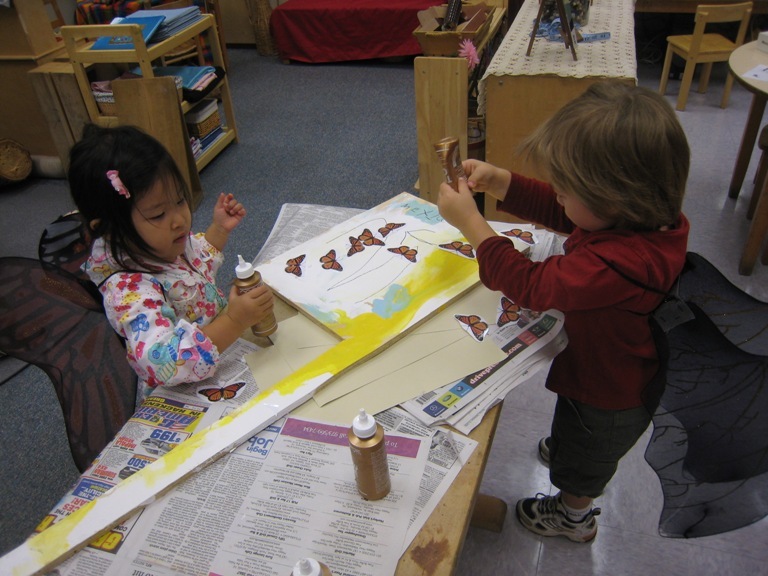 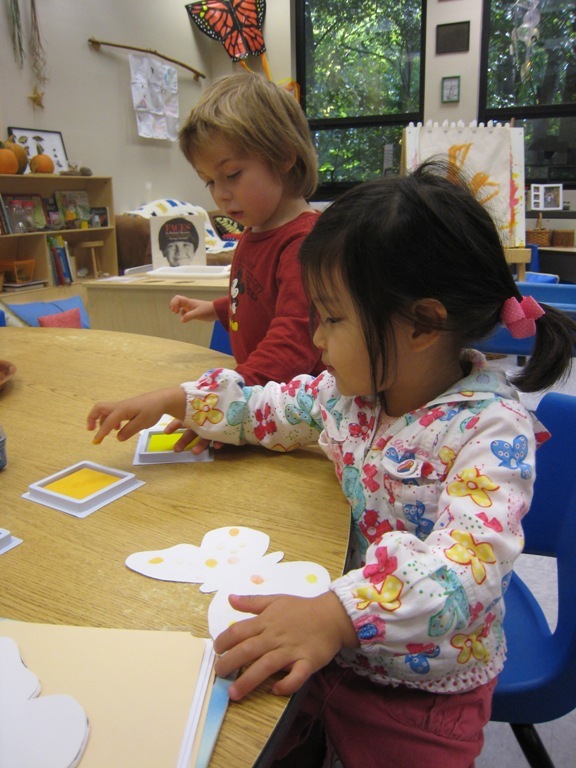 The children create a sign for Monarch butterflies at the woodworking table. 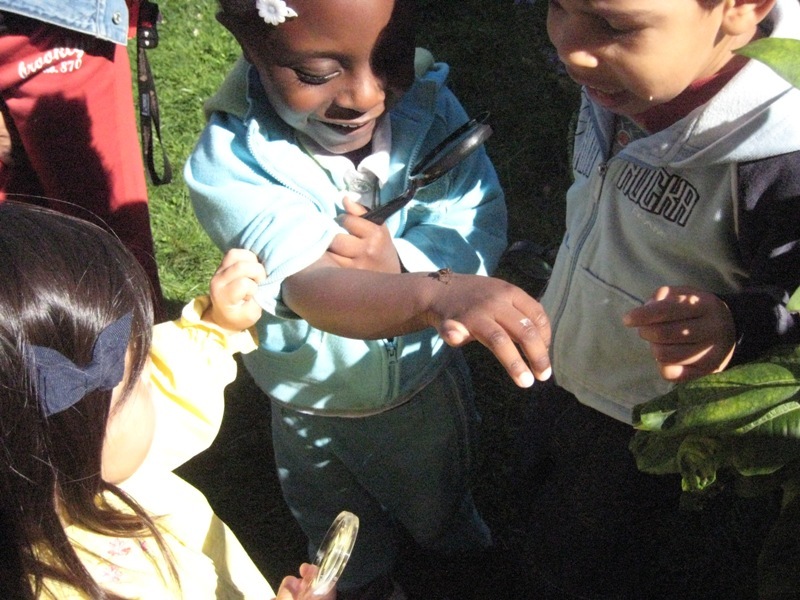 The children find Milkweed bugs eating Milkweed seeds.They notice that they are the same color as Monarch butterflies and that their feet tickle! 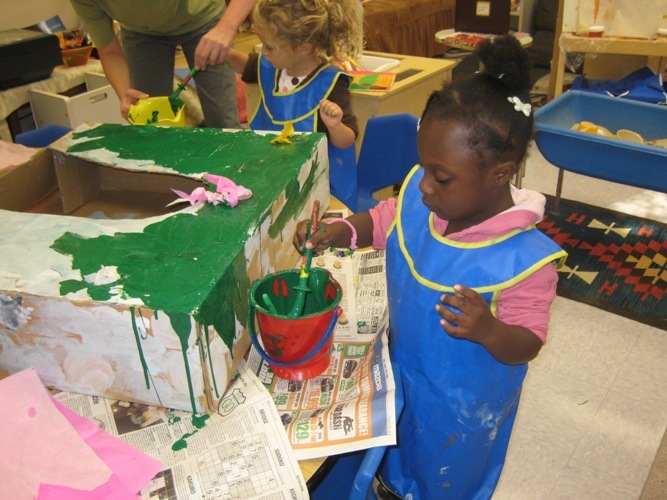 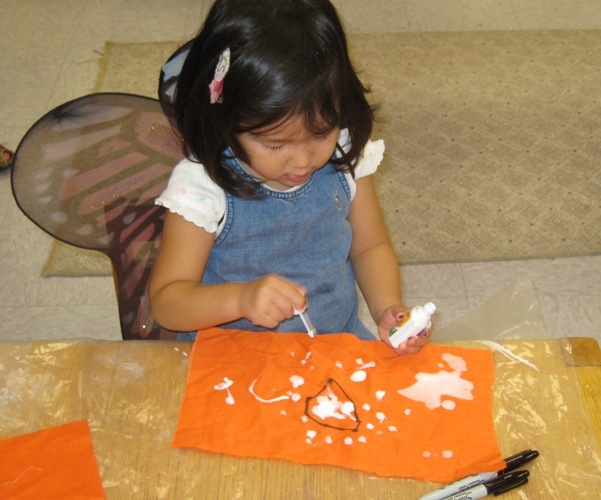 We paint material to create puppets... . 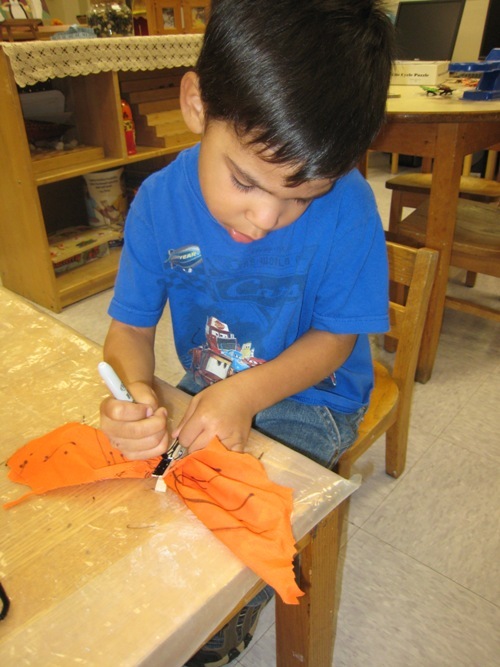 The children create Monarch butterflies to send to Mexico as part of the Symbolic Migration project. 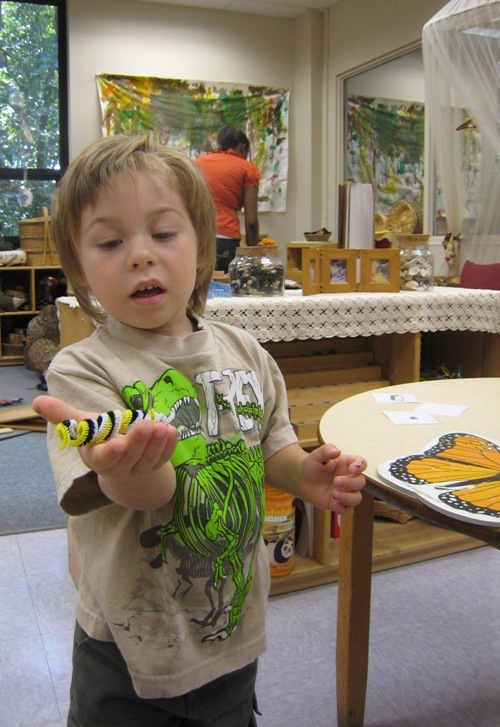 ..and twist pipe cleaners into caterpillars..